Cupcake was found with her mother and 4 siblings living under a porch. They were brought to the rescue where they are learning that they are safe and that humans can be nice and pretty cool to be around. 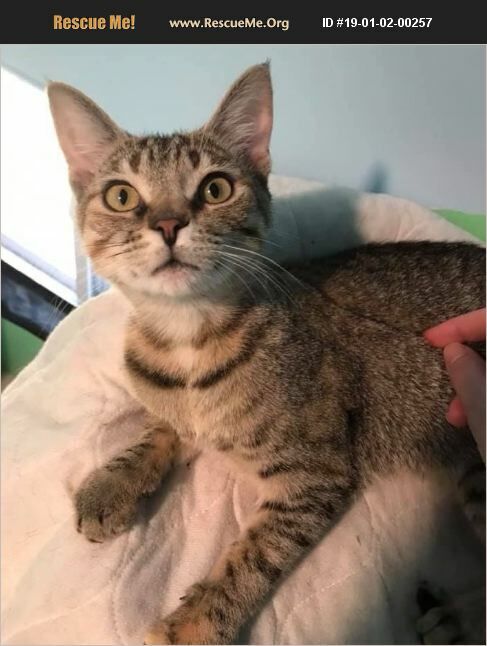 Cupcake is healthy, very sweet and the friendliest of all of the kittens - she will let you pick her up and cuddle her. All of the kittens are playful and get along well with each other. We think she would do well with another kitten or well-adjusted cat to be a companion for her. If you would like more information on Cupcake, please email marylee@waaag.org or visit www.waaag.org/adopt.